We are really excited about the year ahead for Active Cairngorms. There are so many exciting recreation and access projects taking shape this year including extensions to the Speyside Way and Deeside Way; increased opportunities to volunteer in the Park; developing active travel projects; increasing rates of physical activity and promoting responsible outdoor access. As there is so much to share with you we’re making a few changes to our social media accounts – so you don’t miss a thing! As CNPA Recreation and Access Manager, I will be taking over the Active Cairngorms twitter account @CNPactive. Follow me for updates on active cairngorms, active travel, physical activity and exploring the national park by foot and bike. 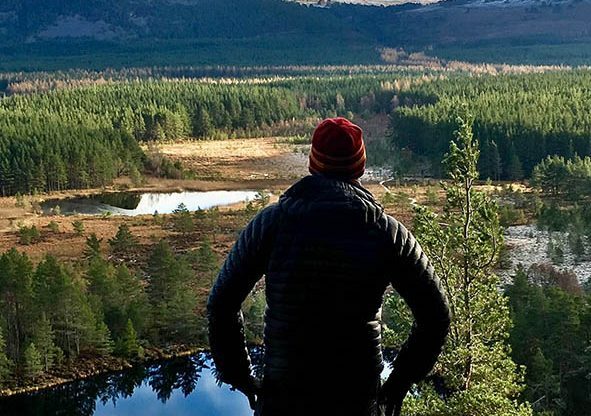 Adam Streeter-Smith, Outdoor Access Officer, will be keeping you all up to date with anything and everything to do with the Scottish Outdoor Access Code and the Park’s Ranger Services. Abi Ball, our new Strategic Routes Development Officer will keep you posted on how the extensions to the Speyside Way and Deeside Way are developing and other path news. Alongside these three CNP twitter accounts, please do keep following @CairngormOL which is managed by Alan Smith, the CNPA’s Outdoor Learning Officer who likes to tweet about outdoor learning in the Park, Junior Rangers, education and the John Muir Award. And don’t forget for those who are interested in volunteering you can also follow @CNPVolunteer where Mike Woolvin will keep you up to speed with all the opportunities for volunteering in the Park, updates on health walks and our volunteer ranger service. Please get in touch and share your adventures of exploring the Cairngorms National Park. We look forward to seeing you outdoors!